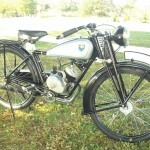 Restored 1936 NSU Quick Motorcycle. 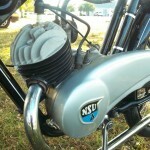 This Motorcycle was restored over several years with parts being sourced form all over the world. 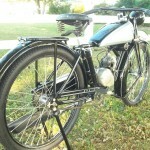 The frame was painted the original black. 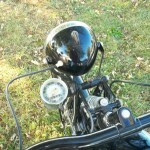 An accessory speedometer was found, rebuilt and fitted. 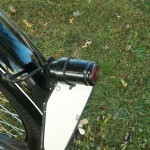 A Noris Notek headlight with frame mounted battery tube was installed. 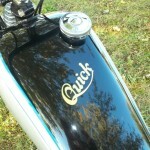 The fuel tank was professionally refinished and new decals were applied. 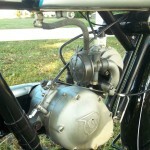 The correct Graetzin carburettor was refurbished. 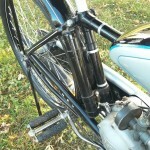 The front suspension was completely overhauled and new springs were fitted. 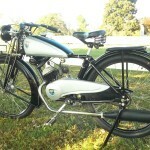 A wonderful restored 1936 NSU Quick Motorcycle. 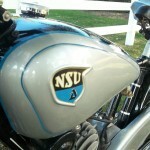 NSU Quick – 1936 For Sale or Wanted? If you're looking for the perfect NSU Quick – 1936 for sale then take a look at the hundreds of restored classic motorcycles listed on our extensive Motorcycles For Sale pages. 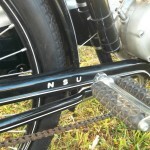 We regularly feature very nice restored NSU Quick – 1936 bikes for sale. 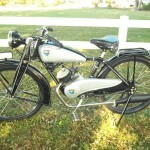 Spares and Parts for your NSU Quick – 1936? Workshop Manual for your NSU Quick – 1936?